Ten years ago, when I went to Argentina for the first time, I had the pleasure of visiting that harsh and fascinating land called Patagonia. I was fascinated by those endless plains between the ocean and the Andes, populated by the descendants of the pioneers of the last century, with their farms located tens of kilometers away from each other. Now it is time to return to those lands, this time I will not just look at it from a road, smell it and run away. This time I come back to experience it, in the worst way as usual, diving in completely, crossing it from the Andes to the ocean, aboard my SUP board, with no support except that of my books and accompanied by the king of those lands, as well the worst enemy of SUP, the Wind. 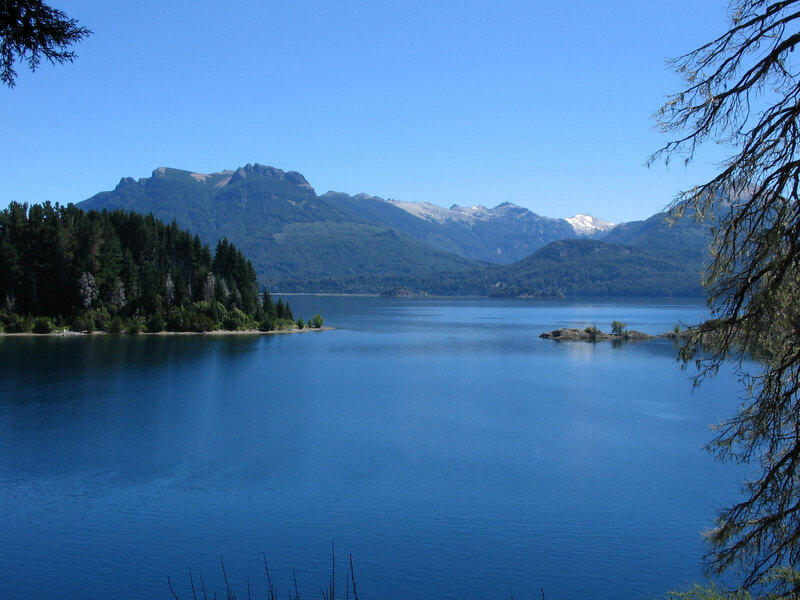 On October 16th I will leave for San Carlos de Bariloche, a city on the banks of the Nahuel Huapi, a beautiful lake nestled between the Argentine Andes. 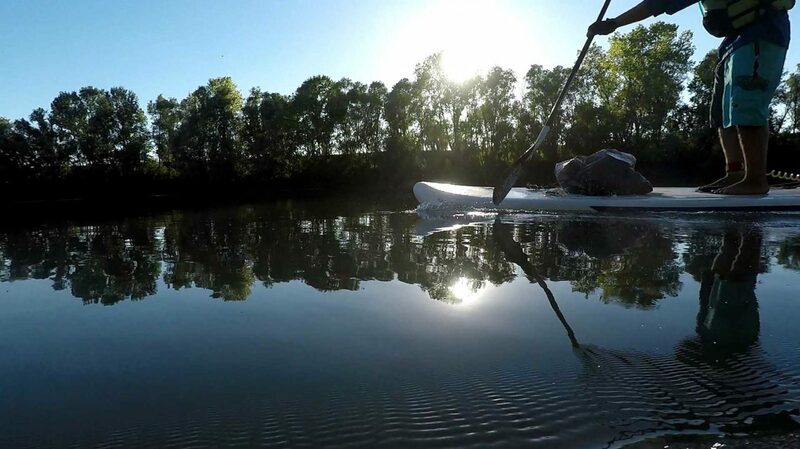 Monday, October 22 (weather permitting) armed with SUP board, food, tools for camping and for shooting, will start the descent of the Rio Limay and Rio Grande, with the goal of reaching the Atlantic Ocean, more precisely the village of El Condor. The Rio Limay runs through the Andes and crosses the Patagonian steppes, in one of the most fascinating and unspoiled areas of Argentina, it flows into the Rio Grande and then into the Atlantic. About 1200/1300 km of lakes and dams separate me from the ocean, a path that is technically not too complicated with few small falls, more dangerous are the plants that grow in the river, they can become a big problem. Along the way I will meet large lakes and five dams that will force me to carry my equipment on shoulders, in some cases even for a few kilometers; but more than from the path, the difficulty of this journey will be given by the climate. This year, more than ever, the objective of the journey will not be the simple satisfaction of my desire for adventure; over the years I realized that what I do has potential that goes beyond the enjoyment of the beauty of wildlife, the discovery of new places and the unknown that awaits you behind every bend in the river. I feel the need to add value to my travels, to make them useful to others. Water is the most precious commodity on Earth because it serves as basis of every possible living form. We are now so accustomed to have unlimited water at home that we are underestimating its importance. But in some areas of our planet it’s not so. Sometimes people must fight to get water, sometimes people can’t take water for granted, sometimes people must walk several kms to have some water, without any chance to use it for growing their vegetable garden. For this reason I’m starting with my journey a fund-raising campaign, whose aim is to build two water-supply wells in Guinea-Bissau. Our goal is to raise 5.000 € for the wells, in order to help these people to be more independent, to be able to grow a garden and to reach a better hygienic and social situation. I need your help to raise these funds. You can either donate a small amount, or share this article and this page ( https://www.gofundme.com/costruiamo-pozzi-in-guinea-bissau), where you can get more information about the campaign. With this trip I decided to commit a good part of my mental and financial forces to bring a contribution to society in my small way. What I start with this trip is (I hope) a long journey, in which I will put myself at stake, trying to bring a message of love and respect towards nature, a message that has as its final objective to increase the awareness of the beauty of our planet and the importance of its protection. Therefore during this trip I will transport a good amount of “superfluous” equipment, such as cameras, batteries and a drone to tell my journey and show how beautiful it is to get away from pre-established routes and dive into nature. I will tell it with the aim of bringing people closer to mother earth, because I believe that re-establishing a deeper relationship with nature is the only way to understand its beauty and to realize how important it is to protect it. I will tell you about the trip through weekly video diaries (depending on the ability to connect and edit some videos along the way) that you can find on the blog and on social media, Facebook, Instagram e twitter. In addition to creating the diaries my intention is to make a final documentary that tells more in depth the journey. Being the first time that I try myself in a documentary, I am very curious to find out what I can do and certainly this new challenge is a big stimulus. In October in Patagonia it will be spring. Bariloche is located at an altitude of 900 m.s.l.m. and this, combined with its latitude and the winds that the period can reach 35 knots, causes the temperature to oscillate between 0 ° and 15 °, but considering the wind, the perceived temperature will be much lower. In addition to the route and weather conditions, one of the factors that can usually have a major influence on the expedition is wildlife. Dangerous animals, or endangered species can lead you to detours along the way or even to end your adventure. The south of Patagonia is considered the largest desert in America, this means that the fauna is not as abundant as in tropical areas, yet the water courses are the points with the highest density of desert fauna and therefore meetings with local animals will not be rare. The king of the area is an old acquaintance, the puma concolor (cfr. Chapter 3: Volunteering with the Pumas). These cats can reach 70 kg, they are shy and intelligent animals and usually do not attack humans. The puma is obviously not the only animal in the area, there is also the Guanaco, a species of llama, the Maras that are big rabbits, the American Rhea, of birds that resemble ostriches and many more… On the ground it’s not so plenty of wild fauna, but on the other hand the waters and the sky are definitely very rich of fishes and birds respectively. As in my previous journeys, I’ll be travelling alone, sleeping in my tent and carrying my own food supplies. Probably the possibility to communicate will be limited to just some inhabited areas along the river, not many I suppose. If any unexpected events occur, I estimate a maximum of 5/6 consecutive days without any chance to communicate, apart from my GPS tracker ((you can follow my tracks at this link) Of course it depends on the weather and on my rhythm at paddling. Every time I need it, I’ll have to schedule a stop along the way at local hotels or “estancias” in order to recharge the battery of all my electronic devices. KITCHEN srl for your time and your organizational skills in creating events and seeking the right equipment. 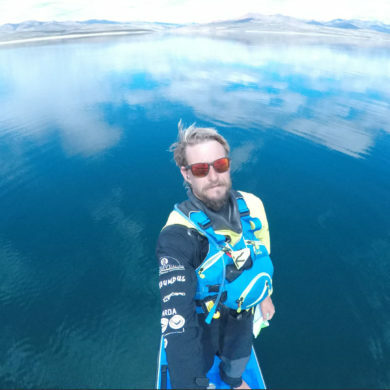 SUPSKIN for providing me with the best drysuit available on the market. STARBOARD for supporting projects aiming to environmental protection and for providing me with the best inflatable, expedition SUP board available on the market. RED LEVEL for providing me with very high-quality technical underwear. Cartolibreria del Commercio for technological support and for providing me with books and notebooks since my first journey.